This week, it begins, and by it I mean our episodes on the battle of the Somme. The Somme, without a doubt, is the most recognizable battle of the entire war for anybody in the United Kingdom, probably for anybody who speaks English. The battle has been dissected, discussed, and debated for over a hundred years and a search on the United States version of Amazon gives me over 1,000 results for books on the Somme. Over the next 13 episodes, yes, 13, we will be looking at the events on the banks of the Somme river that began on in the summer of 1916. Of course, the planning for the massive effort had to start months before the attack began, and in fact it began all the way back in December 1915 at Chantilly, that fateful meeting at Chantilly that has driven so many of the events that we have covered this year. Once again, for what I think is the third time, that is where our story will begin today. After looking at the initial plan for the attack we will then look at the events of early 1916 and how they almost instantly began to change the plans for the Somme. We will then talk about how the French were preparing to play their part in the attack, a part that is so often maybe not forgotten but definitely minimalized. We will then close out the episode but discussing how the Germans had prepared their defenses in the years leading up to 1916 on the battlefield to the north and south of the River Somme and their plans for defending those positions. This is, much like our story of Verdun earlier in the year, going to be a very long journey, so sit back, strap in, and prepare yourself. At Chantilly in early December Joffre came up with a plan. 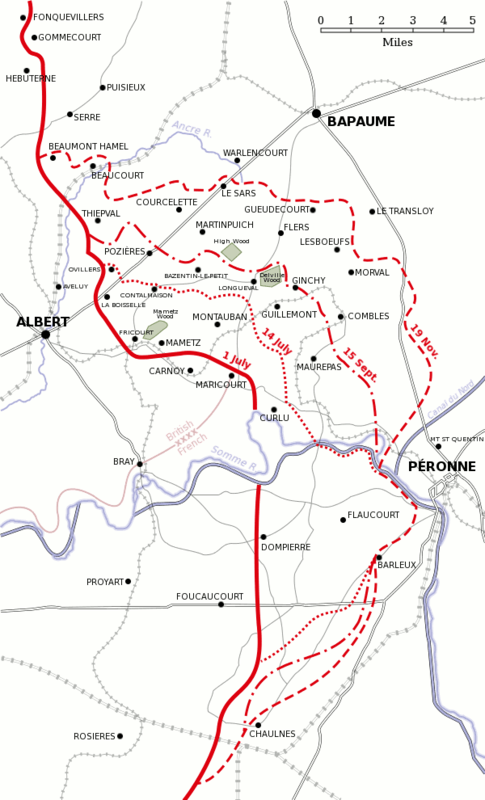 He wanted to convince the British to attack with the French, he had done this before in 1915, but this time it was going to be different because the attack would not be two separate efforts on different areas of the front, instead it would be the British and French advancing side by side. Ideally this would, of course be in conjunction with the efforts by the Russians and Italians as well, although that was not necessarily required. All of these attacks would be launched near the end of March 1916. Joffre did not really care the precise point of attack on the Western Front, he just wanted to make sure that the British were carrying their weight. This is why his initial proposal was for the British and French to both attack on either side of the river Somme. There was one simple reason for this, it was where the British and French areas of the front met. One thing to keep in mind, back in December 1915, and I know at this point we are going way back in time, but Haig had not even taken over command of the British Army yet, it was still Sir John French who was running the show. While the official Chantilly conference would end on December the 8th, conversations between Joffre and French were only in the opening stages and they would continue for weeks and months to come. These continuing conversations can be broken down into three stages. The first was the process of Joffre and the French getting the British to firmly agree to both attack with the French and also to go along with the French plan. The next stage was to iron out all of the details. The final stage was to then throw away all those details due to the attack at Verdun and then to figure out new details that worked with the new reality. At the end of 1915 Joffre wanted the British to help him in his attack, but he was realistic and knew that the French would have to commit more men than the British. This was simply due to the fact that the British would only have 4 armies in France by the Spring of 1916, the French would have three Army Groups, each of which was bigger than the entirety of the British contingent. Because of this fact, before the attack would begin in the spring, Joffre wanted the British to do two things. The first was to take over more of the line, of course and as always, to give the French more reserves. He then also wanted the British to launch some diversionary attacks in Flanders earlier in the Spring. The hope was that this would draw in German resources before the British and French launched the primary effort on the Somme. This was the plan that was presented to Haig a week after he took over command of the BEF. The British government was not averse to what they were hearing and in fact they told Haig that "the closest cooperation between the French and the British as a united army must be the governing policy." In fact, the British government would not greatly protest the plans that were being developed for the entirety of the winter and spring of 1916 even though the conversations about finding a solution to the war that did not involve the Western Front was a constant topic of conversation. One the British committed to the attack, to their credit, the British government would fully support it and give it everything they had. This is important to note because after what would happen people in all levels of the British government would try to back away from what was happening. So, what precisely had they agreed to in early 1916, before Verdun. The plan was, in Haig's own words a "Decisive attack on the Somme with the French taking the two banks. This attack will be preceded by one or two weeks with a partial attack in northern France. The relief of Tenth Army [by the British] is acknowl- edged in principle, but the date remains in question, [since] the relief will be accomplished successively according to the availability of British troops." The main effort was ton the River Somme and would involve roughly a million men with the British contributing 25 divisions and the French 40. This would be the largest single battle since the opening battles of the frontiers in 1914. Haig was not certain that he wanted to attack on the river and he would in 1916, and really until the end of the war, prefer to attack in Flanders which had the added benefit of maybe liberating the Belgian ports that the Germans were using. In this case though he had a pretty good reason to not like the Somme, and that was because there was not really anything strategically significant behind the front in this area. If you do not believe me in this, maybe you will believe the German Army, because in 1917 they would just give up the entire area when they retreated to the Hindenburg Line in the spring. One important feature of the early agreements was that if the attack completely stalled and if it was going nowhere the British had the option to stop their section of the attack, move their troops north to Ypres, and launch their Flanders attack. All of this was just great, the British and French had agreed to an attack, and then the Germans went and just ruined the party by attacking at Verdun. The first effect of Verdun was simply for Joffre to start pressuring his allies for help by then attacking the Germans anywhere that they could. This call for aid went out on March the 12 at an allied conference. They all agreed that they would do everything they could to move up their planned efforts for the summer of 1916, while also urging the French to continuing to hold the line at Verdun. Just a few days later Foch submitted his plan for the offensive, which would include three entire French Armies attacking along a front 50 kilometers wide. This put the total French strength for the attack at 39 divisions. With such large numbers, surely they could overwhelm the Germans. There was just one problem, already in the middle of March many of those 39 divisions were knee deep in the battle of Verdun, slowly wasting away in the Meuse Meat Grinder. Joffre gradually had to admit that his army was unable to meet their planned obligations and as the situation progressed it got so grim that for months before it was launched Joffre started to look at his upcoming offensive, that he had been planning for months, not as some grand war winning offensive but just a way to help Verdun. At a conference in Paris at the end of March the French warned the British that those 39 divisions might not be available when the time came. A month later, they definitively reduced their commitment to 30 divisions, a month later they reduced it to 22, before the attack was launched in July they would be down to 11. With this drastic reduction in French contribution the Somme Offensive rapidly changed from a French led attack to one led by the British. There was some discussion before the end of May in the French High Command and in the French government that maybe they should pull their support completely and just focus on Verdun. This would have meant that the British would be on their own, but it was close to being necessary. This final reduction down to 0 never materialized, but it probably came pretty close, maybe a few more reverses at Verdun would have required those divisions for the defense. Haig was not necessarily dismayed by this developed, he hoped that with the French being hit so hard that the Germans were going to exhaust themselves before his troops went forward. In fact, this might all make everything easier for the British. In the weeks before the attack there were even concrete intelligence reports that proved that his hope to be a reality. Most of the German reserve divisions that were positioned behind the Somme front in the late Spring had been through Verdun and this had an obvious effect on their strength. 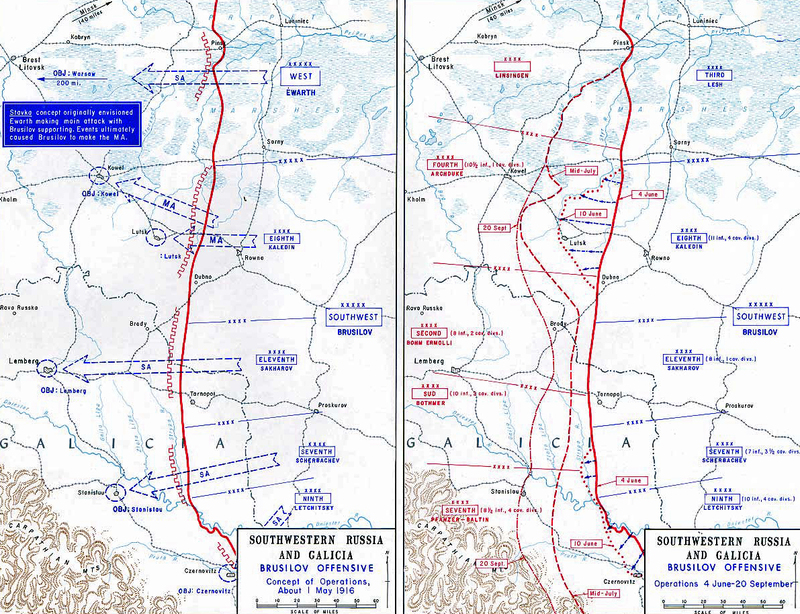 The next way that Verdun really effected the attack on the Somme was all about when the attack would begin, while Joffre had initially envisioned an attack in March, during the planning process this had been pushed back until August or even later. In Early May Joffre starrted asking for this start date to be moved forward. Initially this was moved forward to August the 1st, but even this seemed like an eternity. Haigh and Joffre met on May the 26th, and it was at this meeting that Joffre asked for the offensive to be moved up earlier. He opened the meeting with the words “To allow its allies to be prepared completely, France has resisted alone violent enemy assaults for three months. The enemy probably sought to hinder the general offensive. . . . It would be vain to deny that he has succeeded.” Haig then began to describe all of the reasons that it would be better to wait until the middle of August to attack. In the middle of these explanations Joffre completely lost control and began shouting at everyone who was present. He claimed that if the British did nothing until the middle of August that it was likely that the French army would simply cease to exist. Haig calmed Joffre and gave the suggestion of July the 1st as the new start date. Joffre agreed to this, but even with this date set and agreed on there were still questions. Did that mean the beginning of the artillery preparation? Or would that be when the infantry went forward? When the artillery was set to last several days questions like that really mattered. They did eventually agree on July 1st as the day that the infantry would go forward, there was some discussion of moving it up to May 27th, and this was agreed upon, but in the end it would be pushed back again to July the 1st which would eventually be the date that stuck. All of those conversations and waffling, and then a weather delay, is how July the 1st 1916 became the red letter date in British Army History. With the joint planning discussions covered, lets talk specifically about what the French were planning for their part of the attack. Before they began to plan for 1916 they first had to look back at 1915. They had attacked a lot in 1915, but they had very little success. In their formal assessment written up by the French General Staff they said that the autumn offensives had proven that “in front of an enemy infantry that is entrenched and protected by barbed wire, the infantry alone is powerless.” Joffre and many of the other commanders seemed to finally have been broken from their dreams of a great breakthrough offensive that would win the war in a week and instead began to look to more attritional struggles. They also began to shift around their method of building up the front and of defending the areas where they did not plan to attack. This included a much greater emphasis on a defense in depth, and a strong set of trenches for their infantry to shelter which was a change from the more haphazard affairs of earlier in the war. They also began to try and stop holding every foot of French terrain that they had, this last policy only went so far, there were certainly no large retreats. However, there were some instances of troops being withdrawn 10, 50, 100 years to put them in better tactical positions. 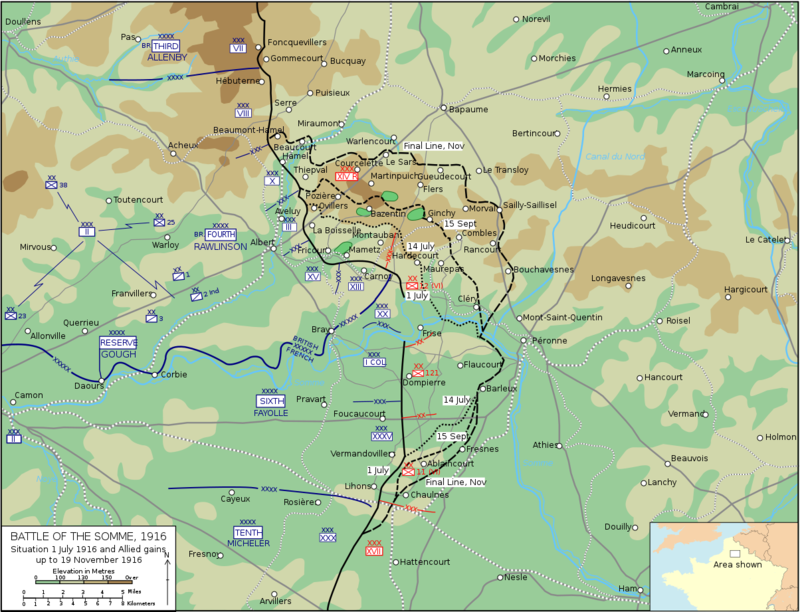 The final change after 1915, and then even more after Verdun started, was that they stressed that troops needed to be ready to launch quick and strong counter attacks if they found themselves in any situation in which the Germans pushed them back. There was also a greatly renewed emphasis on training. To this end Joffre took Petain out of the line and put him in command of the Second Army with the mission of training up its units while they were completely behind the front. Petain was considered a very good person for this role, first because of his training skills which were said to be some of the best of all of the army commanders, but also because Joffre really did not want him at the front after his refusal to continue the attacks in 1915, this was really just an easy out for Joffre. During the time off the line the 2nd Army would be trained up in the new offensive and defensive doctrine as well as generally just improving their ability as soldiers. This would be the place they would be when the Germans launched their attacks at Verdun and unfortunately most of these men would be thrown into the Verdun meatgrinder, so I am not sure how much of their training they could really put to use. The final lesson learned from 1915 was that artillery, when properly utilized, could let the French capture the first few German positions very easily. Because of this there was an increased emphasis on training up the artillery to make them as efficient as possible. As always, the winter of 1915 to 1916 was also used as an opportunity to stockpile ammunition, bring new artillery guns into the line, and just in general stockpile everything that would be needed for the next attack. All of this was done to facilitate the 1916 offensive that everybody knew woul dbe coming, and ideas for what that would be had started circulating around French command as early as October 1915. The attack would be under the command of General Foch, and from the start he was not a fan of launching an attack on the Somme. From the very beginning he would try to convince Joffre that it was not the right plan, but he would always fail. However, facing the fact of the situation Foch made the best of it and began to draw up his plans. Gone were the days of lofty goals of easy breakthrough and annihilation, instead Foch planned on just taking the one German defensive line at a time. He said that this would take "a sustained action, involving a series of stages as close together as possible." Throughout the entire Spring, with the number of men available to him constantly shrinking, every time Foch drew up a plan it was almost obsolete by the time that the ink dried. The Sixth Army was always there, and was always planned to be used for the attack, but soon it would be the only one. They were under the command of General Fayolle, who was an artilleryman by trade. He had also been a professor of artillery tactics before the war, so he really knew his stuff, and he also had the confidence of all of his superiors, including Joffre. He arranged his troops with one Corps to the north of the river and 2 Corps to the south. The 20th Corps, the one on the north side of the river, had the important job of sticking with the British. To the north would also be where Fayolle would put most of his effort, with the belief that this area, with its generally more open terrain and fewer villages, was a better area to attack into. This point of emphasis would continue even as the number of divisions allocated to the attack continued to drop, when divisions were taken off the front it was always to the south of the river. Fayolle pushed his men to coordinate with the artillery, and continued to push his guns to be more effective. He would subscribe to the philosophy that “The artillery devastates, the infantry overwhelms.” When his men went forward they would do so in small groups, using a large number of machine guns and hand grenades. The goal was never to overwhelm the Germans with numbers, all of the previous French attacks were evidence that numbers were never enough for the job. Instead the gaol was to grind the Germans down with artillery and then methodically take their positions one by one. This would hopefully save lives in the process, Verdun was putting the numbers of the French army in a new perspective. Fayolle was also quite honest both with himself and his subordinates of what was probably in their future. In May he would write in his diary that “The approaching battle will cost 200,000 men, and I wonder if there is any interest in admitting it. Attrition, is it such that we can hope for a decisive success? I don’t think so. 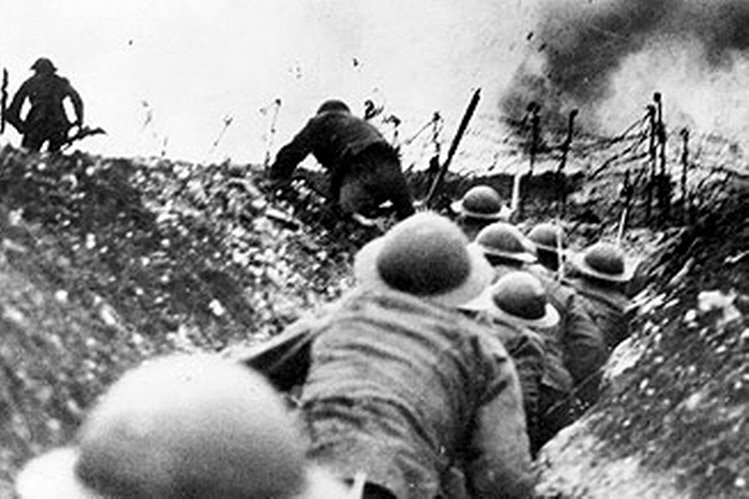 . . .Will it be necessary to spend another year in the trenches? Yes." And then he would write to his divisional commanders and describe his thoughts on what the upcoming battle would be like for the troops "It is not a matter of rushing across enemy lines, of a general assault resulting in a loss of breath [because of the distance traveled], but of a battle organized and directed from objective to objective, always with an exact and consequently effective artillery preparation. It is the commander who has the responsibility for determining the successive objectives; that is his principal task. Some officers have feared that this method will break the spirit of the infantry. In reality, that which breaks the spirit of the infantry is the presence of intact [defensive] networks where enemy machine guns intervene on the ranks. This is why the desired goal is to destroy the enemy’s defenses before each attack." We will close out this episode by talking about the Germans. I have to start out our first discussion of the German defenders during the Battle of the Somme with this quote from Ring of Steel by Alexander Watson "The well-established portrayal of the British and their ally as underdogs on the Somme, a narrative of victimhood that still crops up in history books today, has little basis in fact." I like this quote because it is important to remember, as we discuss the events over the next few months, that the Germans were massively outmanned and outgunned on the Somme. They were not some huge strong enemey, an Ivan Drago in the face of the British Rocky Balboa, instead the Germans were more like the David of this story, facing the Allied Goliath. This gets lost in many stories of the battle, because most of them are from the English perspective which are focused on the British, but do not forget the German troops, fighting for their lives just the same as everybody else, just maybe setup a bit better by their commanders. Who were the Germans on the Somme? Here is Martin Middlebrook from his excellent First Day on the Somme "The German divisions on the Somme were a mixture of Regular and Reserve regiments, and the German policy of leaving a division in the same area indefinitely meant that most had been there since 1914, although some had fought in Russia in 1915. The same policy had spared them from the bitter fighting at Verdun, so that before the Somme battle opened they contained a high proportion of their original pre-war soldiers and certainly all their officers and N.C.O.’S were experienced men. They had occupied the same sectors for months and knew every feature of the ground intimately." Although most of these troops knew the area pretty well, they were greatly outnumbered with just 7 German divisions, 5 north of the river and 2 to the south. This against 36 total from the British and French. They also only had a third of the artillery of the British and French. So how did these greatly overmatched Germans survive at all? It is all about preparation. The Germans had been preparing this area of the front basically since 1914. It had been a very quiet are of the front since then and they had taken advantage of the fact that the hard, dry, chalky soil made for absolutely immaculate digging. Engineers were brought in and did surveys of all of the ground, planning and designing the defenses, and then almost more importantly they would come back periodically to inspect the work done by the infantry to make sure certain quality standards were met. What they created was far more than just a few trenches, although there were plenty of trenches to go around. Instead they were constructing fare more elaborate defenses, and they just kept getting more elaborate as time went by, after the battles of 1915 a renewed effort was put into improving the defenses even more, using some of the lessons learned from those experiences. There was another construction boom after the battle of Verdun started where again the concern was that the defenses had to be upgraded to deal with new volumes of artillery. This resulted in a veritable city being created below the surface, 30 feet below in many places. There were galleries and dugouts that no artillery could touch, and they were well stocked to help the German troops withstand any attack. There were not just isolated positions either, they were generally connected by tunnels and passageways, which were also immune to artillery. Through all of these tunnels and shelters ran telephone cables to link the front line to the rear areas, and many of them even had electric lights. All of this resulted in a situation that was pretty good for German troops on the Somme front, but the obvious signs of a British build up opposite them put new impetus into improving the defenses even further. Here is the commander of the 26th Reserve Division which was in the line in the months before July 1st. "[There was] feverish development of the positions, including the Intermediate Position and the Second and Third Positions, especially the Grallsburg and Schwaben Redoubt. The Ancre Valley obstacle was strengthened. Stop lines were constructed, as were additional communications trenches. Numerous new battery positions were constructed, ready to accommodate reinforcing batteries. Dugouts were improved, deepened to at least seven metres and equipped with two or three exits." The men living in these trenches, other than the fact that they were constantly put to work improving them, lived a pretty good life, all things considered. Even during the winter there were generally beds, stoves, and kitchens in the larger shelters and there were also large stockpiles of food and even more importantly new boots, socks, shirts, and other small comforts. Things were not perfect though, there was a war going on and they were at the front, and in some of the shelters winter was pretty rough with water damage and constant cold, but it was nothing compared to what it was like on the surface. The German defense would be commanded by General Fritz von Below and he and his second Army had been on this front for the better part of 2 years. By June 1916 they had two distinct defensive positions with a third sketched out on the map but not currently under construction. The first line had two belts of barbed wire, each between 4.5 and 9 meters in depth. Then there were trenches and the previously mentioned underground positions. This position was strong, but it did have one weakness, and that was the fact that it would on the front side of the hills, and consequently in full view of the British and French. This was done on purpose though, it was not a mistake, because prewar doctrine considered it more important for the defender to have clear and long lanes of fire against a coming attack, but now in 1916 it was a liability due to the massive increase in artillery. The German second line did not share this weakness. Because it was on the backside of the high ground, and in some places even on the next set of hills. It was an average of 2 miles from the British line which meant two things. The first was that it greatly reduced the ability of the British and French observers to see them and it made them heavily dependent on aerial observation. The second was that it made it difficult to hit the positions even if they were correctly identified because it was beyond the range of a good portion of the British and French artillery. This made the idea of attacking each position separately seem very appealing, which is what Fayolle and the French planned to do, why the British did not choose this method is something we will discuss next week. As always, I have reserved the final bit of discussion about the Germans on the Somme for what they knew of the upcoming attack. 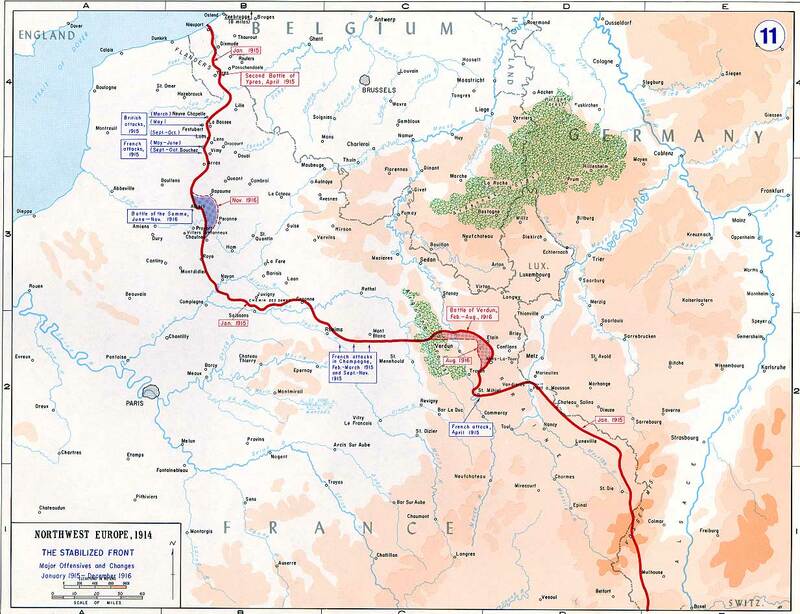 The first notification the Germans had that something was going to be changing was the fact that the British were taking over the line to the north of the Somme river. They began to notice this when the artillery and machine guns started to change from French models to British. It might be difficult for an unexperienced person to tell the difference but after months of being under the fire of French guns it was pretty quickly apparent that things were different. As the Spring turned into summer the offensive preparations became very obvious Landwehr Leiutenant Gerster would record in his diary that "The signs of a British offensive in our area increased day by day and the first storm signals became ever clearer. That they would come was certain, only the extent of the operation was unclear." While the preparations were ongoing the British were constantly trying to fake out the Germans, to convince them that the attack was not going to fall on the Somme. The plan was to make the Germans believe that the attack was actually going to be launched by the British Third Army to the north. On this part of the front they dug new jumping off trenches and at night empty truck convoys and groups of troops were shuffled around behind the front to try and pretend that there were build up operations. This did not seem to fool the Germans very much and by the middle of June the German leadership had a pretty good idea of what was coming. They did not have exact numbers, that was always the hardest part, but they were estimating about 20 British and 20 French divisions, which was really close enough. They also had a pretty good idea about the area of the front where it would be occurring as well. With all of this information know, General von Below had an idea, and he circulated this idea from the early spring all the way until the end of June. This idea was for an attack on the Somme, a spoiling attack to throw off British and French preparations. 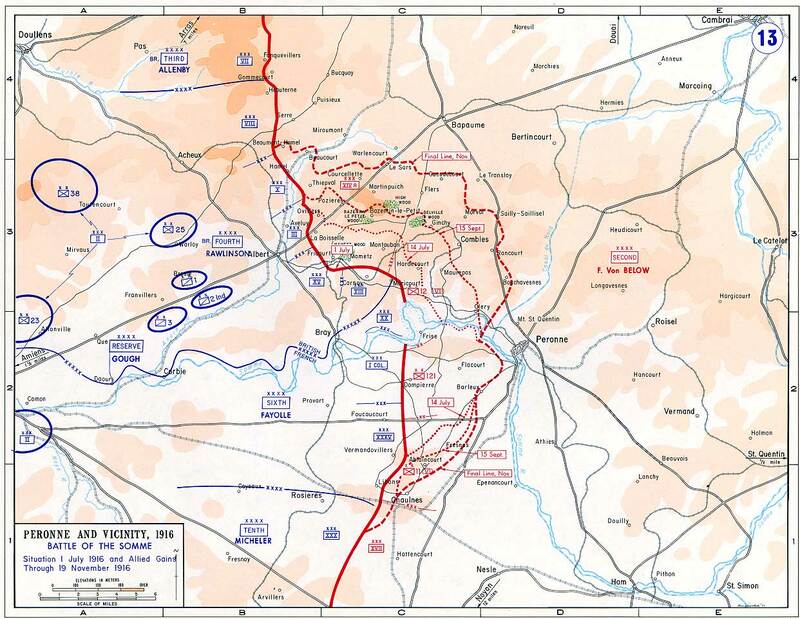 His plan involved several different phases but the goal was to slowly push the British back all along the Somme front. Here was his reasoning in his own words "As far as timings for the two or three phase attack are concerned,’ he wrote, ‘the attack cannot begin soon enough. The British have been reinforced so strongly north of the Somme that there can hardly be any remaining doubt concerning their plans for an offensive...Whether they intend to attack in the next few days, or if they are waiting for further reinforcements, or an improvement in the training of their troops, cannot be determined. If we launch an attack in the next few weeks, it is entirely possible that we shall pre-empt the British and throw their plans into confusion…" Falkenhayn never gave his permission for this pre-emptive attack to happen because he simply believed that the Germans did not have the reserves to pull it off. He would discuss it a bit in his memoirs ‘The intention to nip the preparations for the British relief attack in the bud by means of a powerful counter thrust had to be dropped. The army reserves of troops and munitions which had been retained for this purpose were weakened considerably by the need to send forces to the east.’ Part of the reason for this was the fact that in June the Germans would have to send troops to help the Austrians due to the recently launched Brusilov offensive. With the German army resigned to a strictly defensive role, it was decided that the main area of the defense should be to the north of the river and because of this one of the divisions to the south of the river was moved to the north side. This fact will end up being important, and it will also make a big difference when the attack was launched because it partially explains why the gains in the south were so much greater on July the 1st. While the Germans were confident in their ability to defend, and confident in their positions, as they looked across the lines at the constant build up of British and French men and material they could not help but be a bit nervous. The German General von Kuhl would record that "the presence from horizon to horizon of observation balloons and the constant activity of the dominant allied aircraft left them in no doubt that battle would soon be joined. The tension in the air was almost tangible." I hope you will join me next episode as we take a deep dive into the British preparations for the attack.